Hello, dear visitors of our site! 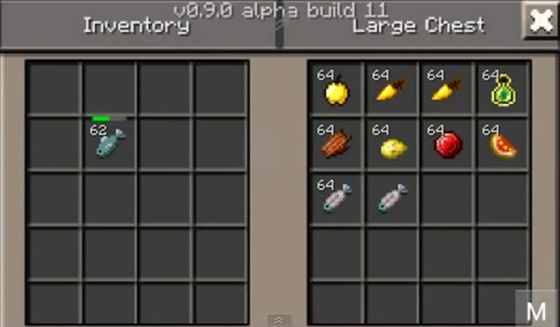 Gradually began to appear mods for Minecraft PE 0.9.0 and some, in our opinion, the most necessary, we decided to share with you. 3. Damage Indicator - indicator of the health of mobs. 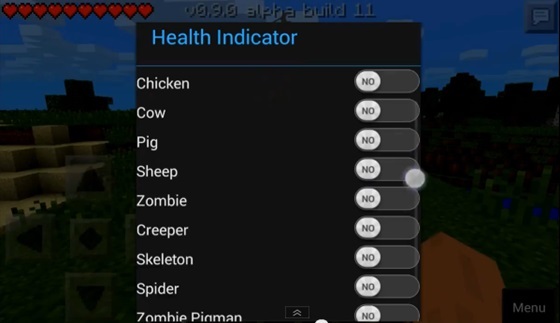 After installation in the lower right corner of the button will appear MENU, where you can toggle the display of the health status of any mob. 4. Maud Coordinates, showing the coordinates of your location - a good thing, especially in survival when you need to quickly get to the house, etc. Displayed at the top. 5. Mod Mo'food - mod for food! Any more yummy! I want it how do I get it????? ?